Burkitt’s lymphoma (BL) is an aggressive lymphoma sub-type with high 18F-FDG avidity, but no well established evidence of PET/CT’s role in treatment evaluation or prognosis is currently available. 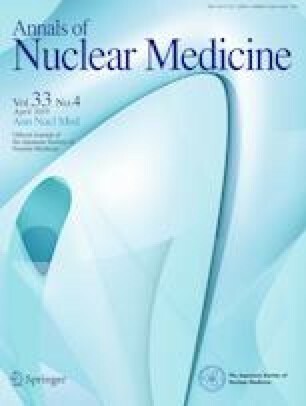 The prognostic role of visual analysis and Deauville criteria for BL have already been demonstrated, while the potential usefulness of semi-quantitative PET/CT features remains unclear, especially the value of the rate of reduction in metabolic tumor volume (MTV) and total lesion glycolysis (TLG). The aim of this retrospective study was to investigate whether ΔMTV and ΔTLG can predict treatment response at the end of therapy and prognosis in BL. We retrospectively included 61 patients (mean age 61; 40 male, 21 female) who underwent baseline, interim and end-of-treatment 18F-FDG PET/CT. The PET/CT images were analyzed visually and semi-quantitatively by measuring total metabolic tumor volume (MTV) and total lesion glycolysis (TLG) for every scan. Then we calculated volume changes based on the percentage of MTV and TLG reduction between the baseline and interim PET (ΔMTVi and ΔTLGi) and between baseline and end-of-treatment PET/CT (ΔMTVeot and ΔTLGeot) and correlated them with clinical response and progression-free survival (PFS) and overall survival (OS). Survival curves were plotted according to the Kaplan–Meier method. Forty patients had a complete response and 21 patients a partial response on interim 18F-FDG PET/CT. At end of treatment, 45 had a complete response, 11 partial response and 5 disease progression. At a median follow-up of 43 months, relapse/progression occurred in 18 patients and death in 11. ΔMTV and ΔTLG values were significantly higher in patients with complete response compared to no complete response. ΔMTVeot and ΔTLGeot were demonstrated to be independent prognostic factors for both PFS and OS, while ΔMTVi and ΔTLGi were not related to survival. Metabolic tumor features (ΔMTV and ΔTLG) were significantly correlated with response to treatment and long-term outcome in BL.